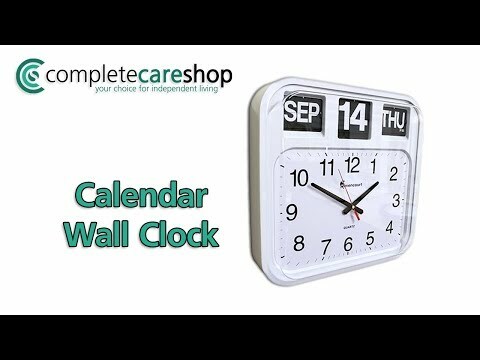 With a large clear face, this Calendar Wall Clock is ideal for those with limited vision or dementia as it enables the user to easily orientate themselves to any time of day or date. This clock features black numerals over a white background, making it easier to tell the time especially with numerals over 50mm in size. The large white on black figures, show the day and date in 30mm high figures and the number figure at 50mm to make it as clear as possible to see, more so with the excellent contrast provided by the colour choices and the specially designed Ravencourt easy to see dials. This Calendar Wall Clock includes a precise quartz function, has been made in a tough plastic casing and can be easily fixed to the wall.